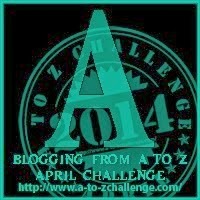 This is the first post in the series - Putting India Back in Indian Education, written for A to Z Challenge, April 2014. Some background on why I picked this theme and what I hope to do in the next 26 posts, each for a letter of English alphabet, can be read here. If you have been visiting and reading this blog for a while, it should come as no surprise that much of the inspiration for these A-Z posts will also be from the same source which inspired this blog in the first place. Does our education help learners discover their aim in life? I am not speaking of those essays children in middle and high-schools are asked to write on 'my ambition', most of which are anyway written without much serious thought or awareness of the fact that 'ambition' is not the same as 'aim'. Our present education system doesn't really encourage learners to deeply explore the aim of their lives for a very simple reason: Education itself is unsure of its aim and purpose. In an earlier post, I wrote about how most mainstream education only strives to help learners become socially smart. And only that. The mad rush to pursue a career-oriented education and only that, at whatever cost, is an indication of how bad things really are in India. The high demand for private tutors, coaching centers for children as young as fifth-graders, these things are helping education become more and more like any other business. This must change. Education must help learners become equipped with the right kind of training and preparation for a profession or vocation of their choice. But this has to be done in the larger framework of a much wider and deeper purpose of education. "Get a degree only for a job" kind of mentality must be done away with, if we want learners to grow in a more holistic and all-rounded manner. In order to do this, it becomes essential to know what is a human being in essence; what are the different parts or layers of a human being; how are these different parts - parts that must be developed - interconnected; and what is the most essential or ultimate aim of human life. It seems like a matter of common sense that an India-centric philosophy or conception of education should be based on a deep and conscious awareness of Indian conception of human being and aim of human life. The phrase "enwrapped in mind and body" deserves a second look and a greater reflection. According to this view, the soul is the first and foremost truth of an individual being, and this soul expresses itself through the outer instruments of mind and body. Indian Education must be based on this conception of individual. Education, in this light, becomes the means to help prepare learners for a deeper transformation and inner evolution, which requires that all parts of their being - mental, emotional and physical - are properly prepared and developed to their fullest potential in order to manifest a harmonious and integral personality. At the same time education can never ignore its collective or social purpose which is closely inter-related to the individual existence. But the collective purpose is not only limited to the immediate society or nation, it extends to the whole humanity. This has great implications for curriculum planning, pedagogy and actual day-to-day teaching practice in classroom. “And at no time, will [education] lose sight of man’s highest object, the awakening and development of his spiritual being” (Sri Aurobindo, CWSA, Volume 1, p. 427). This highest object of human life must inspire the aim of a true and living Indian Education. Education must help create an awareness and facilitate an opening in the young minds and hearts for the fact that there is a personal inner truth, independent of and transcending all the layers of outer identity of the individual. And that the discovery of this inner truth through intense self-search and deep self-knowledge is the ultimate aim of human life. It is essential to understand that this is NOT same as helping learners develop a mental acceptance of a respectful and empathetic understanding of different religious traditions. And it is definitely NOT religious education. I will explore this theme further in some of future posts in this series. Seen in this light, all life becomes a means of education, in order for us to walk the path of discovering and realizing the aim of our life - individually and collectively. While education never really ends, in this series my focus will be primarily on the more formal phases of educational experience that one goes through in schools and colleges. Not easy to implement? And yet there are examples of such efforts going on all through the country in different forms and ways. But in order to make this a guiding inspiration behind all education in India, a total rethinking of our present model of education is essential. It will start only when those in the power to initiate such a rethink will intellectually accept the truth of the Indian view of human existence and aim of life.